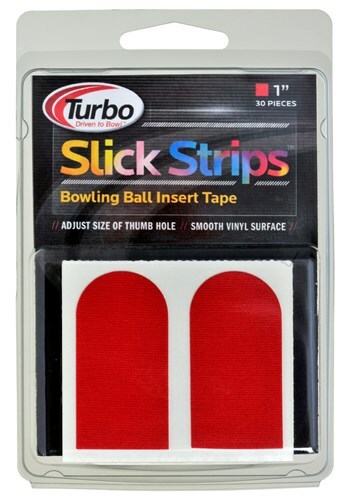 The Turbo Slick Strips 1" helps aid you in the release of your bowling ball. Back of the hole or front of the hole? Need more info!! You can put this inside anywhere you like. Due to the time it takes to produce the Turbo Slick Strip 1" Patch Tape 30/Pcs Red ball it will ship in immediately. We cannot ship this ball outside the United States.